About Us – Tone I/O – Guitar Amplifiers and Effects – Amp Repairs and Sales in Austin, TX. Tone I/O founder, Adrian Goepferich, started Tone I/O to fulfill a deep desire to build and service world-class guitar amplifiers and serve the Austin music community. Adrian has over 25+ years of experience in electronics and audio gear. He owned and operated a professional mobile DJ business that he started when he was just 15 years old, and he bought broken gear at a discount and repaired it himself for use in his business. Adrian started his professional career in electronics at the age of 18 years old working in telecommunications engineering. He spent 20+ years in telecommunications engineering before moving into a 10+ year career in engineering and management of electrical infrastructure and control automation systems for large scale, $150M+ internet data centers. 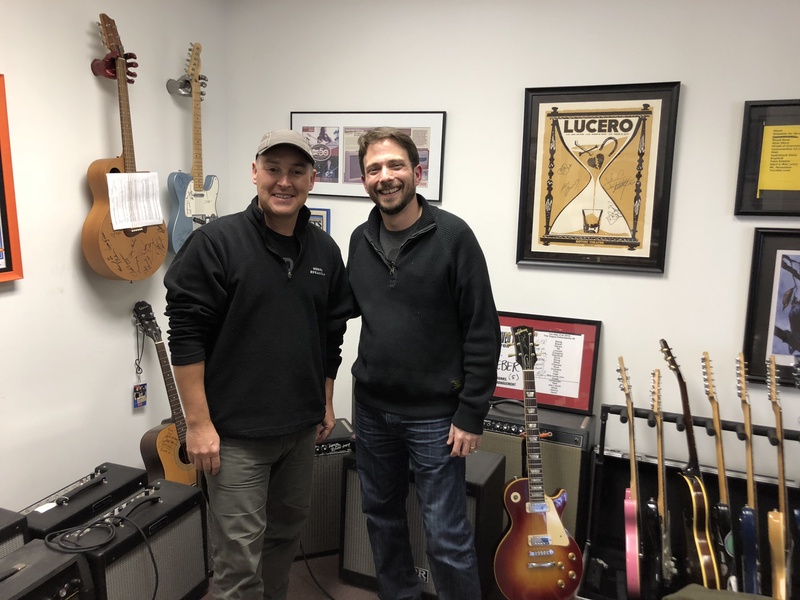 His deep love for music, guitar, and equal love for music gear drove him to begin repairing and restoring vintage guitar amplifiers in his spare time. This led to building new custom amplifiers, and after many successful builds Adrian decided to pursue his passion full-time. Adrian brings to same level of attention to detail that gave him an outstanding reputation in his previous fields of electrical engineering to the manner in which Tone I/O operates and conducts business. Tone I/O was formed to bring professional, high quality gear and services to the music community.